By the end of the Pleistocene or last glaciation, about 10,000 years ago, the end was inevitable for a host of the larger mammal species, including the mammoths and the mastodons. Climate change and associated environmental change and "overkill" by humans are the most likely explanations for this extinction spasm toward the end of the last Ice Age. The Holocene thus dawned on prehistoric man with a highly impoverished megafauna over a substantial land area of the Northern Hemisphere as well as in the southern continents of Australia and South America. Exceptions to this extinction spasm were Africa and southern Asia. The tropical and subtropical belts were possibly better buffered against the vicissitudes of a rapidly changing global climate. Here, in the African and Asian continents, in the relatively more benign climate, two proboscidean genera survived, their survival aided perhaps by a longer history of evolved coexistence or by the absence of humans with advanced technologies for indulging in overkill of the megafauna. Perhaps the Homo sapiens here relied on a variety of mammal species, which would have been more diverse toward the tropics, for their protein and thus were not near-obligate carnivores on proboscideans. In tropical forests or woodlands, the hunting of an elephant involves considerable costs in pursuit and harassment, unlike the containment and mass killing of mammoths, already weakened through environmental stress, at waterholes in the temperate grasslands. The foraging decisions of Paleolithic humans would have been influenced by cost-benefit considerations that are not clearly understood today. In any case, at the dawn of recorded history, the surviving proboscideans Loxodonta africana and Elephas maximus had extensive distributions in the African and Asian continents, respectively. Loxodonta roamed over most of Africa except for the Saharan region. Elephas, of course, was more restricted in its distribution to the southern part of Asia, but nevertheless ranged from the Tigris-Euphrates basin in West Asia eastward through southern Iran and Pakistan, to the Indian subcontinent, into continental Southeast Asia, and northeast to beyond the Yangtze-Kiang in China. Further, E. maximus also occurred on several islands, including Ceylon (Sri Lanka), Sumatra, Borneo, and possibly Java. We have little basis for reconstructing the elephant-human relationship during the early Holocene (10,000-5,000 years before the present). The fossil record of Loxodonta and Elephas is scanty or nonexistent for this period. 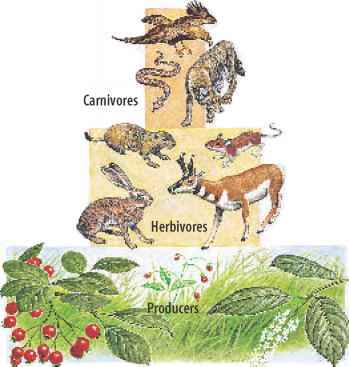 The dawn of the Holocene was also the beginning of a major shift in the diets of humans. The domestication of animals such as sheep, goats, cattle, and pigs and the cultivation of crops, including cereals and pulses, had their beginnings around 10,000 years ago in western Asia. The spread of agriculture and animal husbandry during the early Holocene changed the patterns of food procurement by humans over a broad region covering the three ancient civilizations— the Nile, the Tigris-Euphrates, and the Indus. Undoubtedly, hunter-gatherer societies in Africa and Asia would have continued to rely on elephants for meat, hide, bone, and ivory. Unlike the mammoths and the mastodons, there are virtually no known sites of mass deaths of Loxodonta and Elephas in the fossil record; hence, it is virtually unthinkable that early Holocene humans slaughtered either of them in mass kills. The killing of elephants would have been restricted to one or a few individuals at a time and scavenging of those that died naturally or during drought. About 4,000 years ago, there arose a new relationship between elephants and humans, a relationship that was to influence the sociopolitical and cultural life of peoples and the eventual fate of the elephant itself in a profound manner. Such a relationship between beast and human never existed before nor is it likely to evolve in future generations. I refer, of course, to the taming of the elephant in Asia. The domestication of the dog, the ox, the horse, the pig, and the camel have, in a distinctive fashion, left an indelible mark on human cultures and history. True, the cow has been venerated as much as the elephant and contributed far more to nourishing human populations, the horse has fought battles with more success than the elephant, and the dog has been a faithful companion to humans over more continents than the elephant. Yet, the elephant occupies a higher pedestal in human cultural history by virtue of the sheer contrast and splendor of the elephant-human relationship. There are several detailed descriptions of the role of elephants in Asian cultures, but none of these explored in depth the ecological context of this interaction. A species that, at the same time, not only has been worshipped as god and slaughtered for meat or ivory, carried us and our heaviest burdens but also has trampled crops and people alike, and acted as a gentle ambassador of peace as earnestly as it has fiercely fought battles through the centuries would be a fascinating subject for exploring the interrelationship of culture and ecology. According to the "dare theory" of the origin of domestication, the control of a fierce or large animal was a challenge to the physical prowess and intelligence of humans in ancient societies. This would have been especially true of the elephant, the largest of the land mammals. The dare motive could also explain how such animals (whether cattle, horses, or elephants) became associated with ceremonial and religious rituals. Several other questions, however, come to mind when we consider the elephant-human relationship. Why has the tradition of capturing and taming elephants persisted in Asia for over four millennia, while it died out very early in Africa? How did the elephant occupy a pivotal position in the culture of Asian peoples? What is the real significance of the worship of the elephant (in the form of the elephant-headed god, Ganesha) in Hindu culture? Would this elephant culture continue to persist in Asia, and could such a culture arise in Africa? Drawing on historical evidence, I explore the answers to these questions within an ecological framework.